You are here: Home › Inspiring Resources › How do great leaders inspire action? He uses some great stories (eg. the Wright brothers) to highlight the difference between the why and the what to illustrate that there are leaders and there are those that lead. 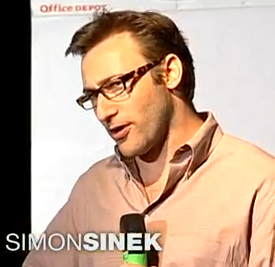 Simon believes, “those who lead, inspire”. We follow those who lead because we want to, we believe what they believe and we take up their purpose as our own. It’s well worth the 18mins online to watch this insightful TED talk.